A big Disney DVD release and must-have under the tree this holiday season is Cars 2! Favorites Lightning McQueen and Mater return in this fun sequel. My kids haven’t seen it yet but we’re excited to watch this latest installment where the characters go abroad in this fast-spaced James Bondesque movie. 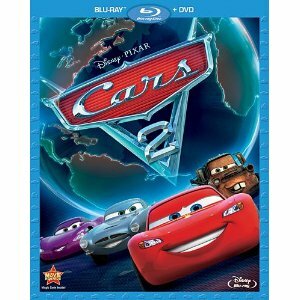 Get the Cars 2 DVD & Blu-Ray Combo Pack on Amazon for $24.99 with free shipping. Order a qualifying Blu-ray disc and receive a $5 promotional credit toward the purchase of video content from Amazon Instant Video. The promotional credit will be applied to your Amazon.com account within two days after your order ships.